Catamaran capsizes are often spectacular because of the speed at which the boat is travelling when the capsize occurs. Ironically, however, a catamaran can capsize just as easily when it is moving slowly if the sails are over-sheeted. This results in the crew being unable to get the boat to respond quickly enough if a wind shift occurs and the boat then capsizes to leeward. By far the most spectacular, but rather less common, form of capsize happens when the bows dig into a wave and the boat somersaults forward, stern-over-bow. This normally only happens in rough conditions when the boat is travelling at very high speed. When it does happen, the first priority is to make sure the crew is released from the trapeze. Catamarans invert easily and therefore your capsize drill needs to be rapid and well rehearsed. The method for righting a small catamaran differs from that for a bigger one. The smaller types, like the Dart for example, can be righted by immersing the bows or sterns until the hulls are vertical in the water. It can then be easily pushed back to its normal sailing position. Larger catamarans will need to be righted by applying weight to the uppermost hull, using the jib sheet as a lever. 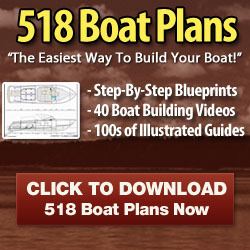 Should the boat prove impossible to right, you will need outside assistance to help you recover the boat.